The Pembroke Welsh Corgi originated in Wales, Pembrokeshire- Hence its name. They are highly active herding dogs that need to be exercised to stay healthy and happy. They are very old known breeds who date back as far as 1107 AD but have only been recognized since 1934. 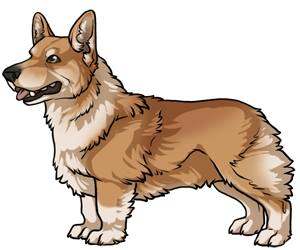 The closest breed to the Pembroke is the Cardigan Welsh Corgi. The Pembroke is younger than its Welsh partner, the Cardigan- though it is much more popular.